Ukraine’s state-owned defence exports and industry agency UkrOboronProm is continuing discussions with the Royal Thai Army (RTA) over the supply and local production of the 8x8 BTR-4E armoured personnel carrier (APC), Jane’s has learnt. The BTR-4E and China’s 8x8 VN-1 APC, made by Norinco, were downselected to meet the RTA’s APC requirement earlier this year, with the Chinese product declared by the government in June as the preferred tenderer. 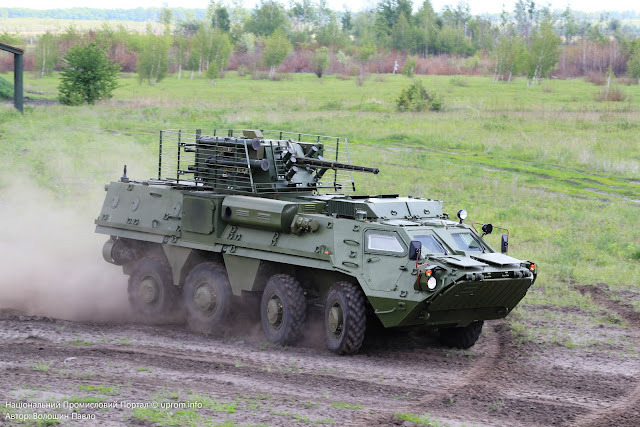 However, a contract between the RTA and Norinco has not yet been signed and a UkrOboronProm official stressed that the agency remains “actively engaged’ with the RTA about a potential order of the BTR-4E. Hmm. I just don't see the Ukrainian offering being able to match what the Chinese are in the VN-1. That rig looks like a more modern design, seems to swim better and as far as weapon systems it looks like its almost plug and play. It'll be fun to watch Thailand on this one.